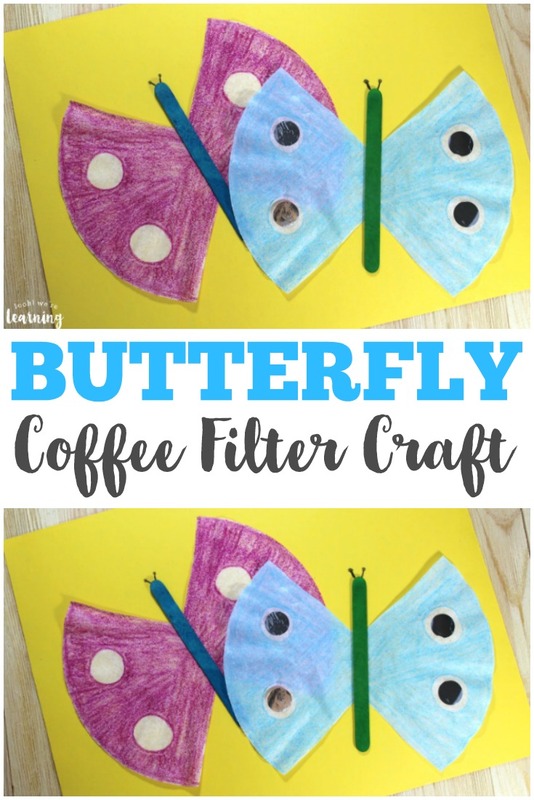 Coffee Filter Crafts for Kids: Coffee Filter Butterfly Craft - Look! We're Learning! I’m not a big fan of insects, especially the ones that try to sneak into your house when the weather gets warm. I mean, if Mr. Centipede is willing to chip in on the mortgage, I might be open to it. Otherwise, that’s a no from me. But I do love butterflies. It’s wonderful to see them fluttering around during the warmer months. 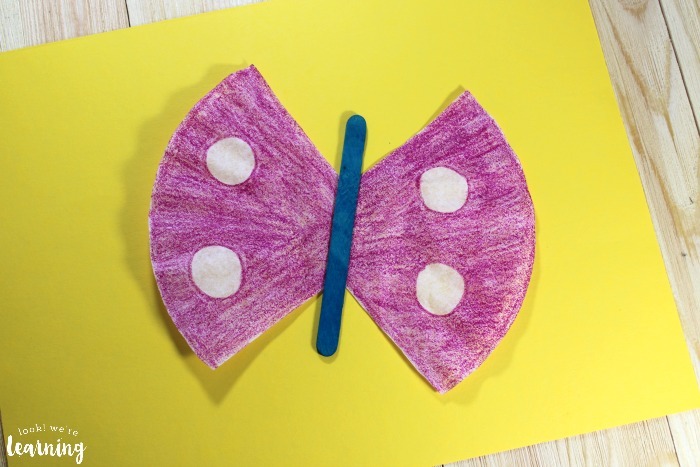 So for our newest coffee filter crafts for kids project, I thought we’d make a simple coffee filter butterfly craft! These were so much fun and they only took a few minutes from beginning to end. Seriously. 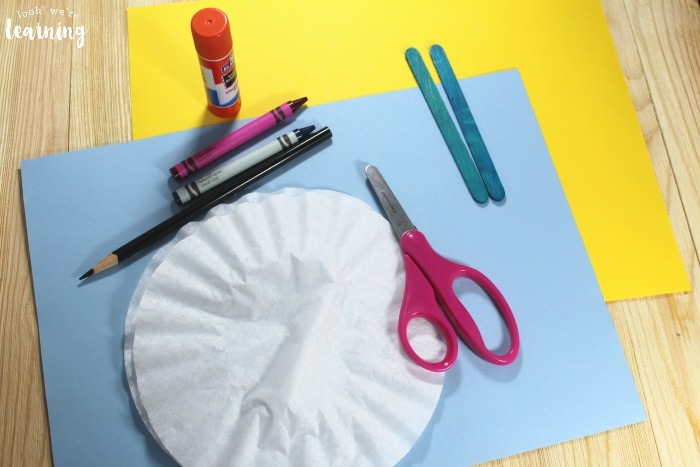 Want to try more coffee filter crafts with your little ones? 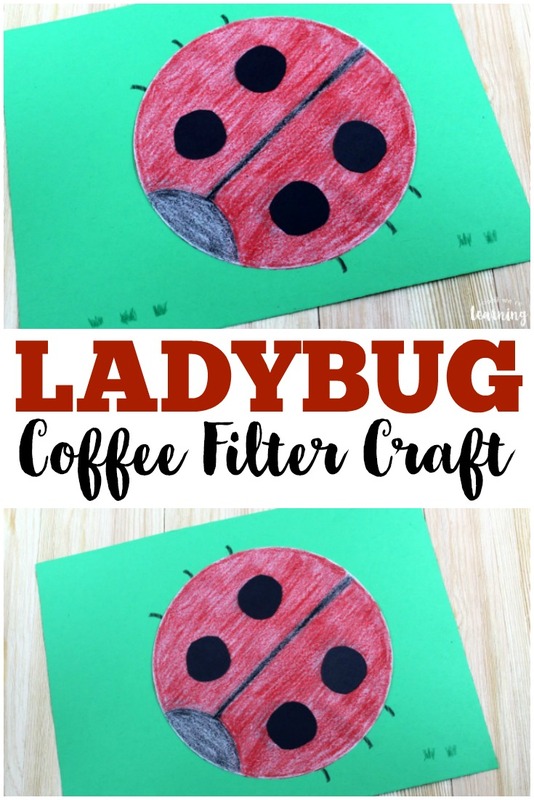 Don’t miss our coffee filter ladybug craft and our coffee filter sun craft for summer! 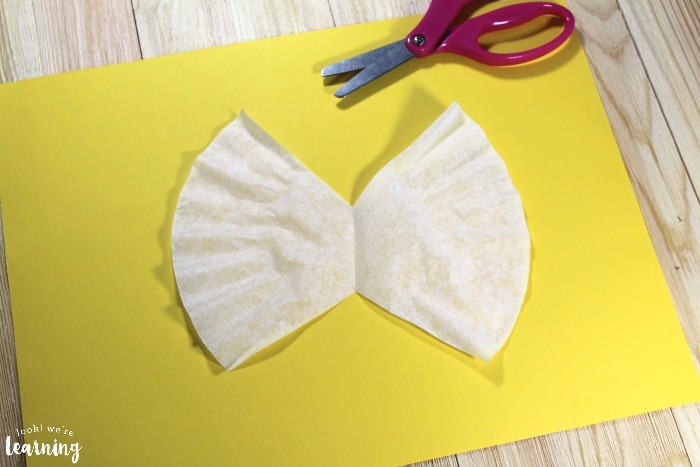 To start, fold the coffee filter in half. Then use the scissors to cut a triangular piece from each end. You’ll want to cut on an angle to make the “V” shape at the top and bottom. 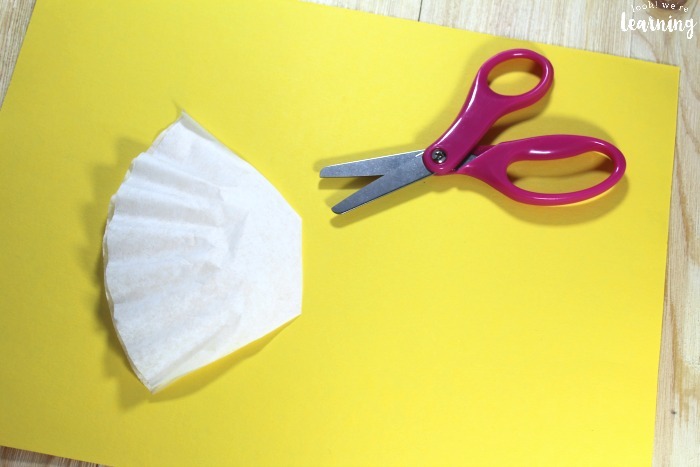 Be sure to cut through both of the coffee filter halves. Otherwise, you’ll have wings on one side and a circular shape on the other. When you open up the filter, you should have this. 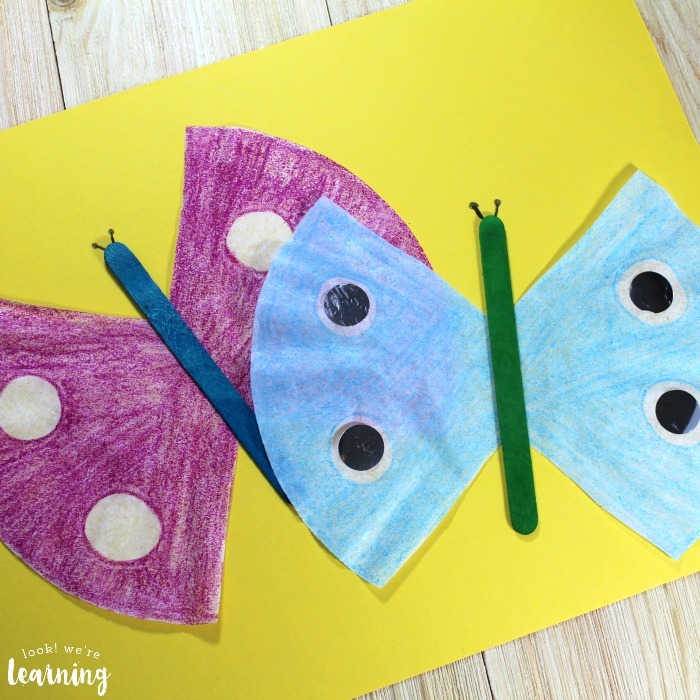 Use a bright colored crayon to draw four circles on the wings: one at each corner. 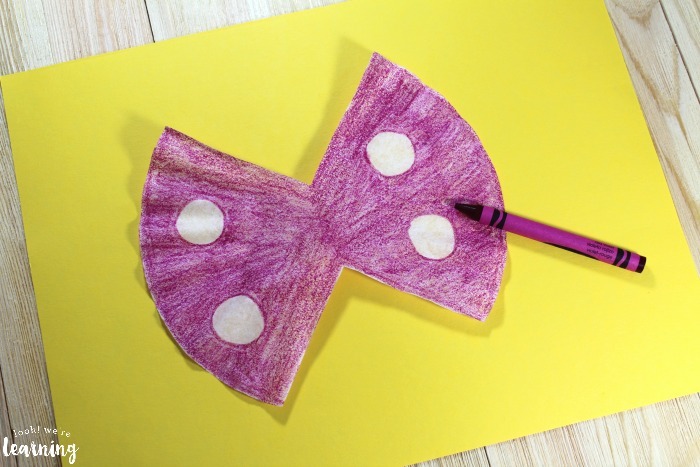 Use a glue stick to spread glue on the back of a craft stick. Stick it firmly in the center of the coffee filter. 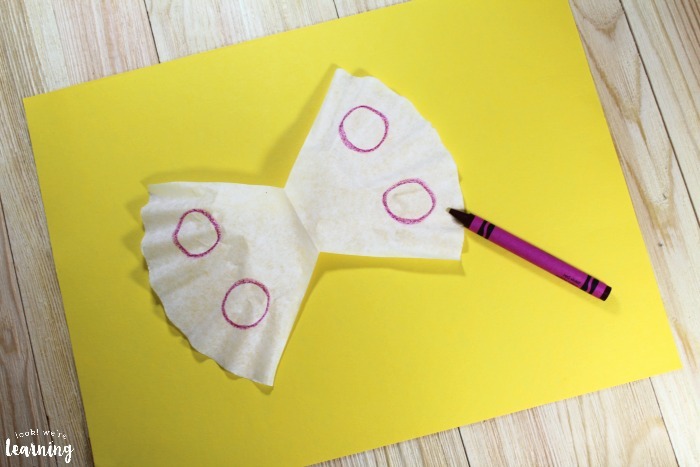 Add glue to the back of the coffee filter wings and press them gently onto a piece of construction paper. 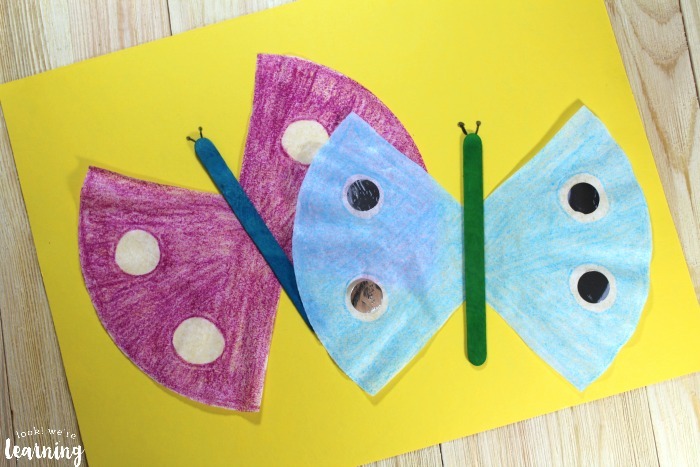 Once your butterflies are in place, add a set of antennae with a black marker. 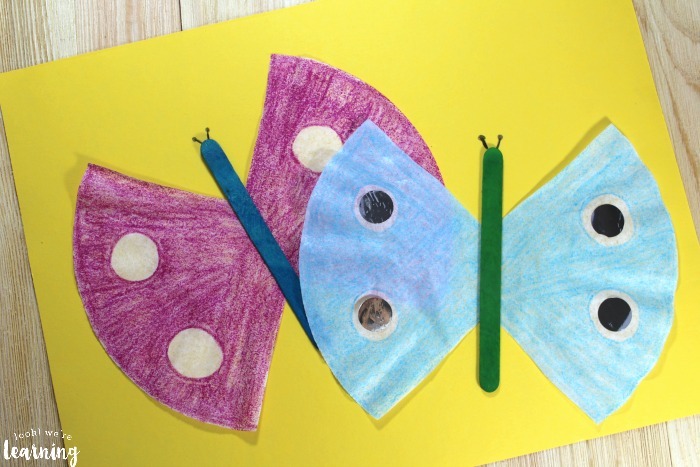 With our second butterfly, we added silver circle stickers on the wing spots. 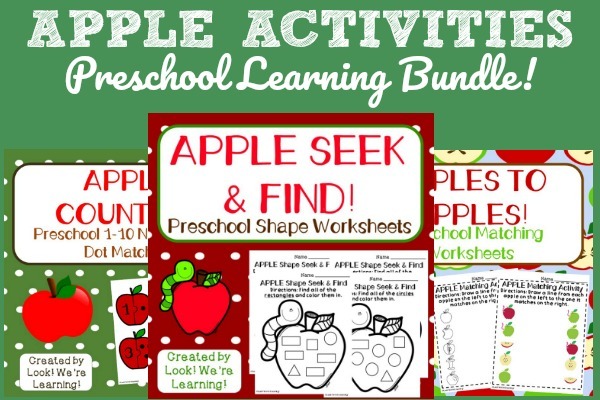 But you can color them a different color or use any stickers you like! 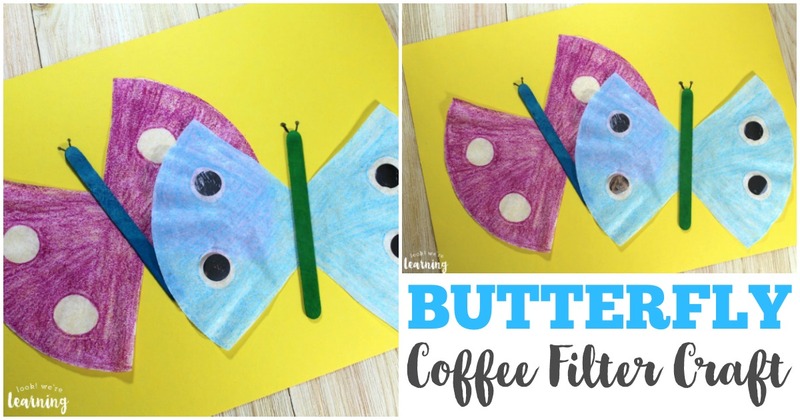 Did your kids love making this coffee filter butterfly craft? 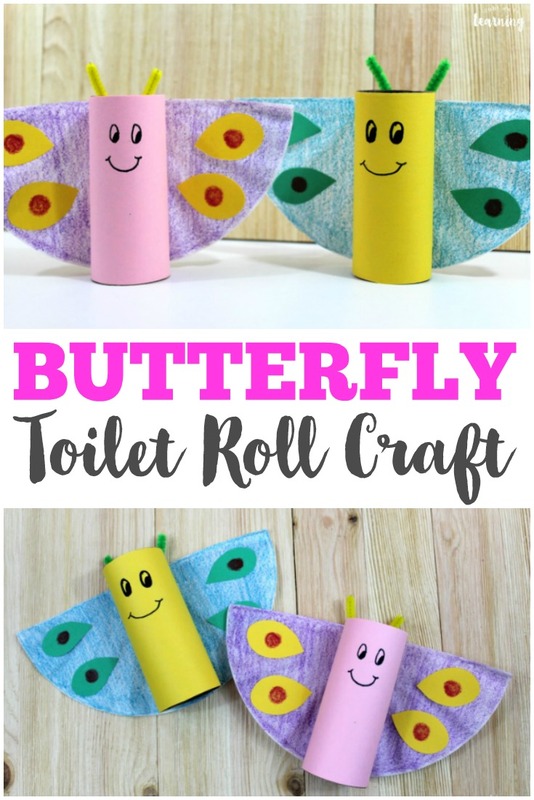 Take a look at these other easy craft projects! 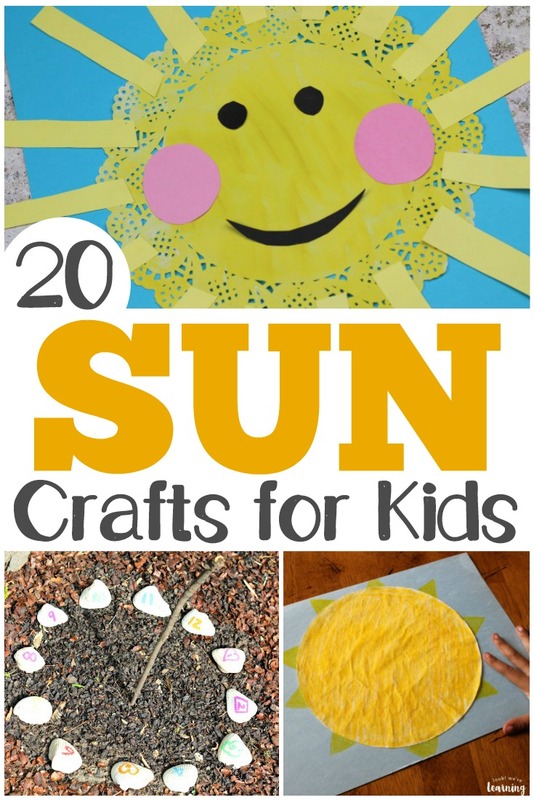 And see more fun things to make on my Simple Crafts for Kids Pinterest board!